With the start of wedding season, emerging blossoms, and fresh, new fashions, spring is definitely friendly to photographers. And tax season can be pretty friendly to you, too. The training, travel, and equipment you invest in your photography business come with some serious tax breaks. 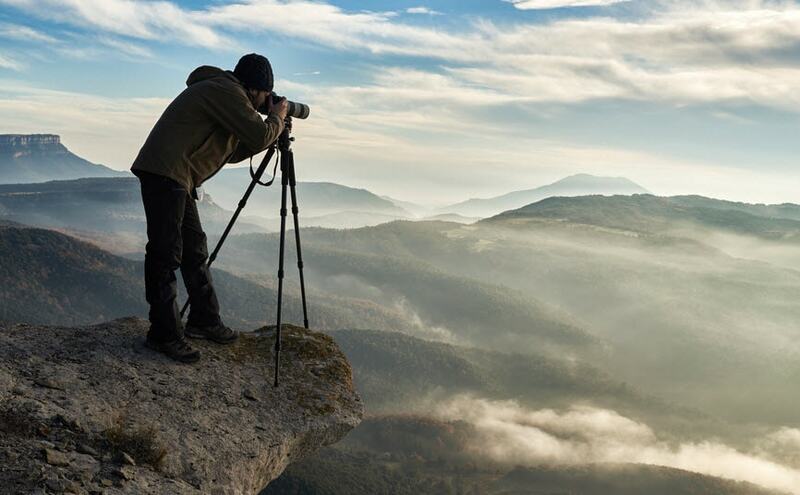 Starting your own photography business may mean significant startup costs. Just creating a basic set can cost at least $10,000, and as you add in buying props and backdrops, you’re looking at a sizable investment. Thankfully, it’s an investment you can get a tax break on. Equipment you’ll use for more than a year—including cameras, lenses, lighting, light boxes, filters, tripods, computers, and hard drives—counts as capital expenses. You can annually deduct a portion of the cost of capital expenses over several years (a process called depreciation) and receive a small tax break each year. Or, if you qualify, you can deduct the upfront costs all at once using the Section 179 deduction, and you’ll get a significant tax break in your first year. TurboTax guides you through the process to help you make the right decisions about depreciating vs. expensing. Running a photography business requires a lot of space—from the studios where you shoot to the storage space where you keep a library of props. You can deduct the cost of the venues used for your business. You can also deduct other costs associated with studio space that are used to maintain it, like electricity, phone, internet, and insurance. While post-secondary education entitles you to education tax credits, additional training that keeps you current in your existing career may also reduce the taxes you may owe. For example, if you attend a weekend course on action photography, you can deduct tuition, travel, and lodging for attending the workshop. Driving to shoots can rack up mileage, especially if you service a large area, but you can likely get a tax break by deducting your business travel expenses. That includes mileage on your car, a portion of car insurance, auto repairs, maintenance, and even a portion of capital expenses like a new car purchase. Airfare, train, and bus tickets can count as business expenses if you use them to travel to professional conferences, photo shoots, or training sessions. If you’re storing props in your linen closet or basement, or if you've set up a home office for photo editing, you may be eligible for home office deductions. Generally, you’re eligible for deductions if you use some part of your home exclusively and as the principal place for your business—TurboTax will ask you a few questions to determine your eligibility. Because photography can be a hobby as well as a profession, you’ll need to take steps to prove that you’re running a legitimate business in order to deduct business expenses. Register your business with local licensing agencies and set up bank accounts that remain separate from your personal accounts. And keep receipts for all business expenses you plan to claim as deductions should the IRS ask to see them later on.